While Menchov claims the white jersye int eh Tour as the best young rider, Pablo Lastras enters the selected list of winning riders in all three Grand Tours. In his case, all of them notched with the colours of the team. At the end of the season, Illes Balears replaces iBanesto.com as main sponsor. The teams’ overal classification in the Vuelta a España is also won. 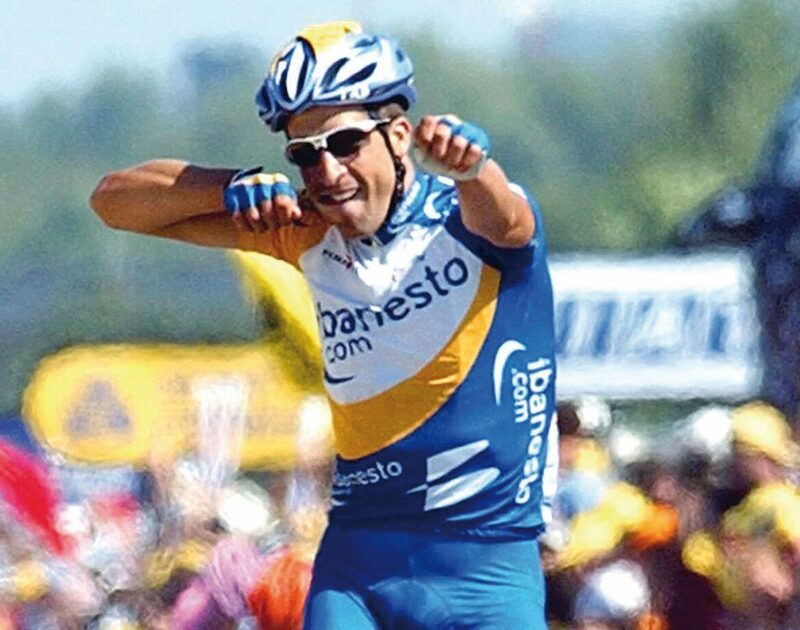 Juan Antonio Flecha wins a stage in the Tour de France. 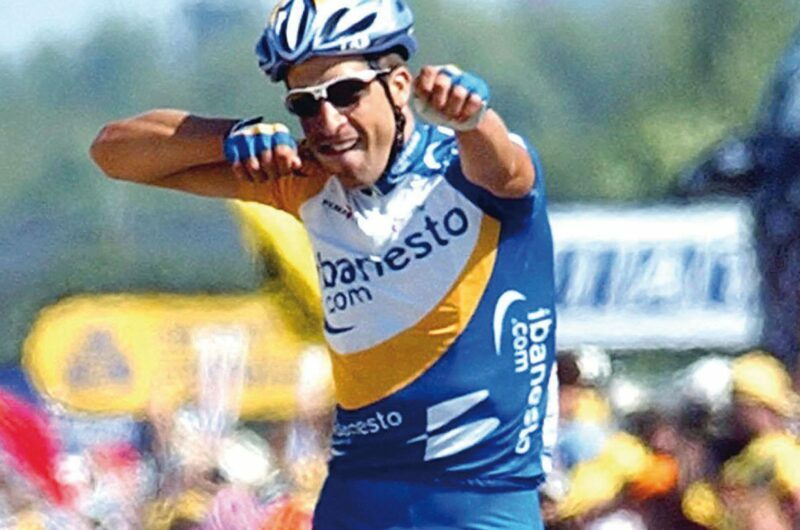 Pablo Lastras completed his particular Grand Tour ‘triple crown’ in the Tour de France. 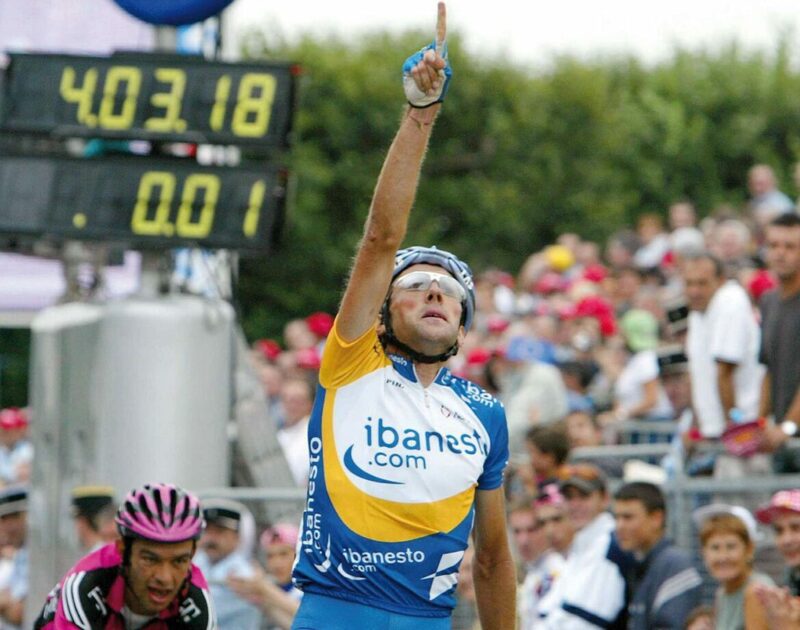 Winners of the 2003 Vuelta a España teams’ classification. Above: Chente, Arrieta, Mancebo, Mercado and Unzué. Below: Piepoli, Aitor Osa, Lastras, Unai Osa y Eladio Jiménez. 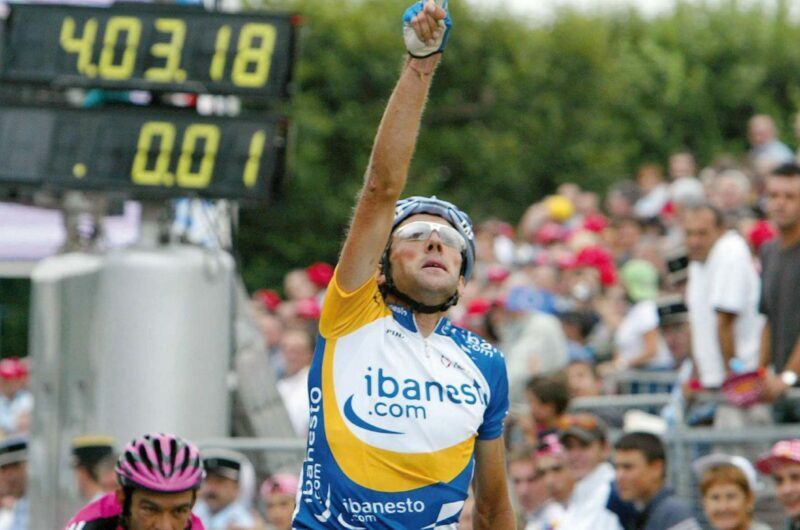 Rubén Plaza with his Spanish champion jersey after winning the 2003 road race in Alcobendas.